Collecting Red Cross medals and badges is an interesting and relatively little-explored field but potentially offers much scope for the collector. It is worthwhile both in itself and as an adjunct (as in my case) to the collection of military medals, given the symbiotic relationship between the various branches of the Red Cross and the armed forces in time of war. 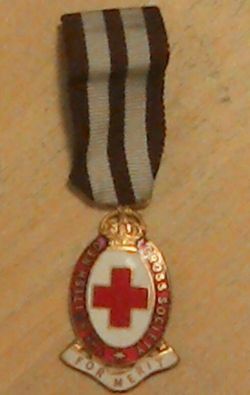 This lens will focus on the medals and badges of the British Red Cross, but that is not to deny the interest of the regalia of other national Red Cross entities, and I hope to feature these either as "guest medals" in this lens or in their own in due course. The obvious criteria apply here. Whilst I am not aware that there is a faking problem with these medals and badges, be mindful of the condition. Does it look too "new"? (This is also pertinent if you are looking for medals and badges which could conceivably date back to the WW2 era.) If you do wish to collect medals and badges from a particular era, finding a King's or Queen's crown on the badge or medal suspender is a further dating aid - to pre '52 and post '52 respectively. 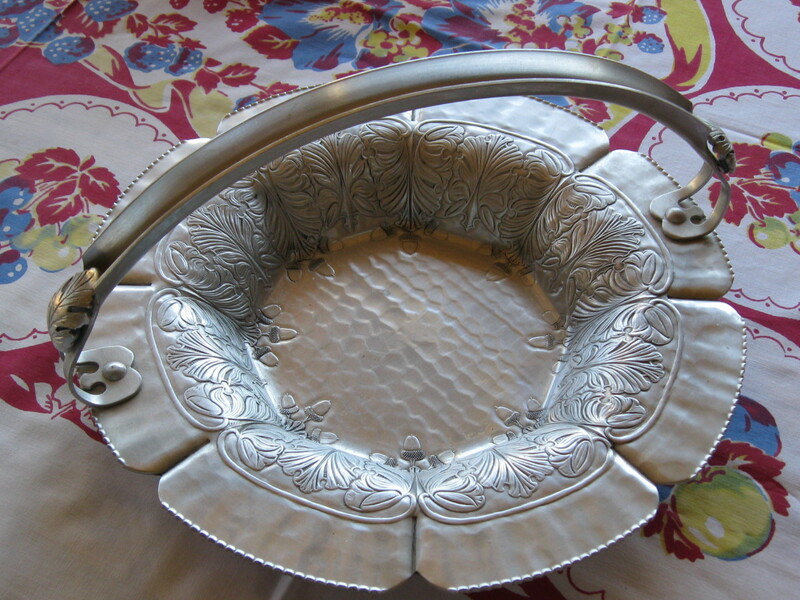 Are you satisfied with the condition; is the patination tolerable, are there any dents or marks, does the enamel have any chips or cracks, what is the condition of the ribbon and are there any parts such as the ribbon brooch missing? Does the medal have any interesting provenance, or any other badges or ephemera coming with it? Is it named or numbered? Is there any research potential? 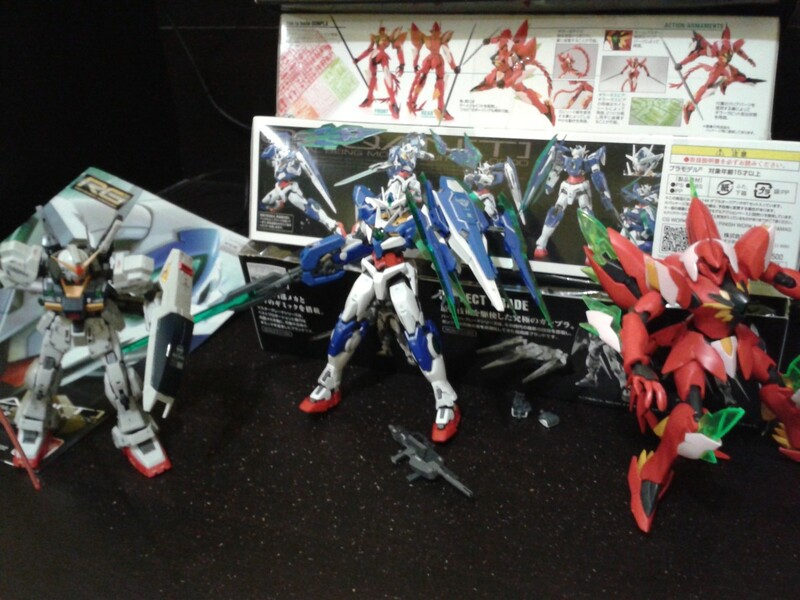 Finally, is it within budget when postage and other costs are taken into account? eBay.co.uk is a particularly good source for inexpensive medals and badges of the British Red Cross. This is a nice example, with good patina, of a British Red Cross medal, awarded for Proficiency in First Aid. 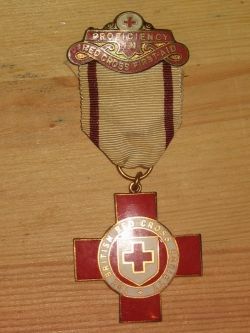 The medal was produced for the British Red cross by well-known medallists J.R. Gaunt of London. Although undated, these medals ("badges" in Red Cross parlance) were awarded between 1914 and 1968 and the patination on the decorative brooch and the age darkening on the ribbon on this example would suggest a World War Two or earlier attribution. The badges were relatively hard gained, requiring three successive examination certificates in relevant subjects, each taken a year apart, and some examples feature additional brooches to indicate additional achievements. 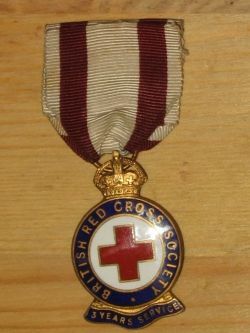 The face of the medal features a fine red enamel cross with the legend "The British Red Cross Society" around a central white shield with a red cross in the centre, hanging from an off-white ribbon with two claret stripes to the edges, suspended from an age-toned scrolled pin bar with the legend "proficiency/in/Red Cross First Aid". In sound condition, examples usually go for Â£5-10, although examples with WW2-dated bars or multiple bars can be offered for significantly more.. 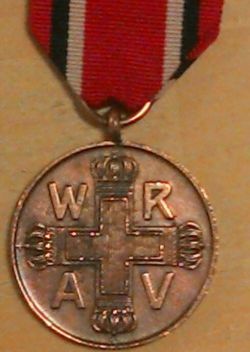 This medal was awarded, as the title implies, for three years' with the British Red Cross. 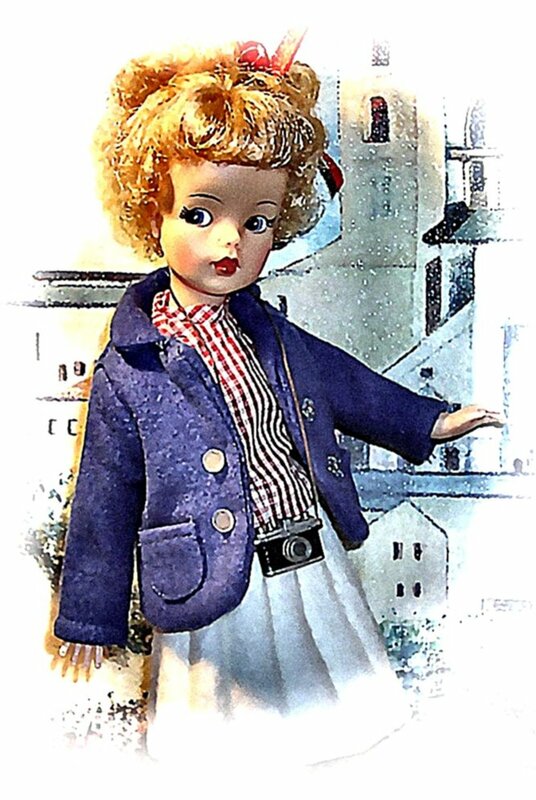 The illustrated example lacks the pin brooch at the top but is otherwise good. Note the King's crown on the suspender. It was manufactured, like other Red Cross regalia, by Gaunt of London and bears a membership number on the back. 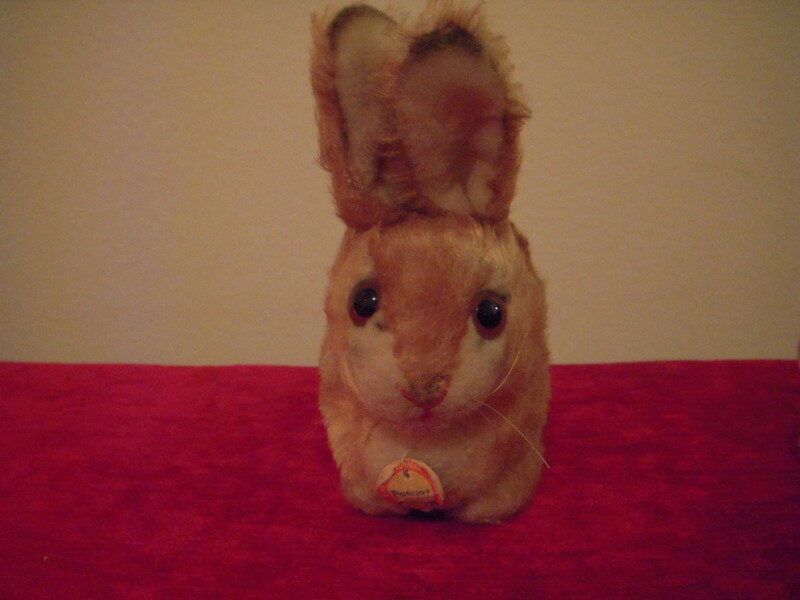 Not terribly rare, examples seem to go for about Â£5-10. 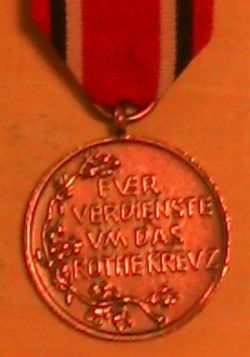 This attractive gilded bronze medal, bearing on its reverse the legend "Inter Arma Caritas"* (In War, Charity) encircled by a laurel wreath, was issued by the British Red Cross Society to recognise 500 hours (ambulance driveres/stretcher bearers) or 1000 hours (others) of unpaid UK service by Red Cross and Red Cross Voluntary Aid Detachment (V.A.D.) members in the First World War; service which, not being overseas, would not otherwise have attracted award of a British war medal. Plain and without enamelling, the obverse features a central Greek or Geneva cross (with arms of equal length) encircled by a wreath of leaves with the legend "BRITISH RED CROSS SOCIETY : FOR WAR SERVICE : 1914-1918 " around the outer edge. 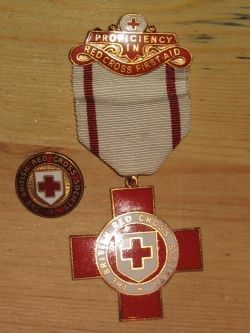 The medal was worn with a white ribbon with (as is typical for Red Cross medals) a bar at the top with pin back. Between 41,000 and 42,000 were issued so it is not unduly rare, however it is fairly sought-after. Examples tend to go for Â£15-25, a little more if boxed. The example illustrated has suffered some knocks and appears to have had its suspension ring replaced, turning it 180 degrees in the process. *The original motto of the International Committee of the Red Cross, now replaced by Per Humanitatem ad Pacem ("With humanity, towards peace"). 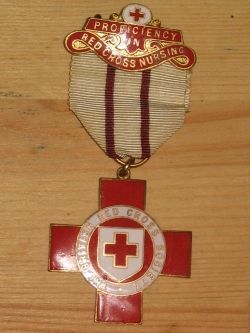 Awarded by the British Red Cross Society for proficiency in nursing, this badge was first awarded in 1914, and discontinued along with the other badges of the same type, in 1968. Note the two red stripes towards the centre of the ribbon, which distinguish this badge from others such as the Proficiency in First Aid badge illustrated above. 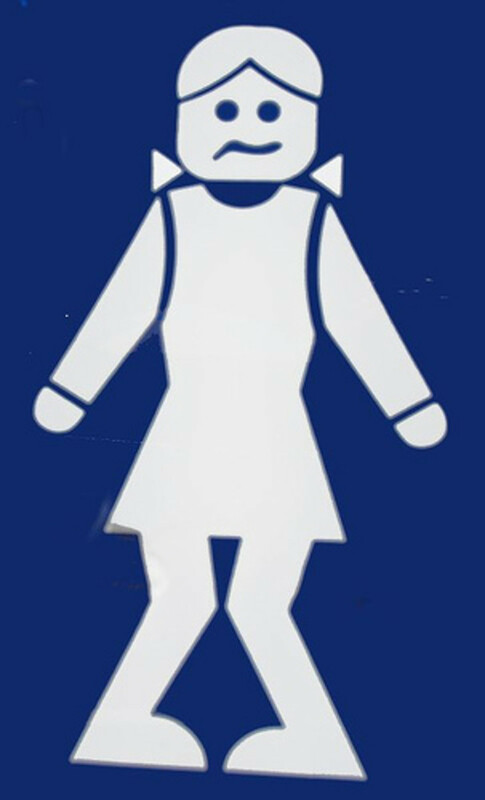 It is not uncommon, but harder to find than the companion First Aid badge. The illustrated example gains interest from having been named and numbered, and was procured with a County badge to the same name. A single Nursing Proficiency badge will usually command Â£6-12. 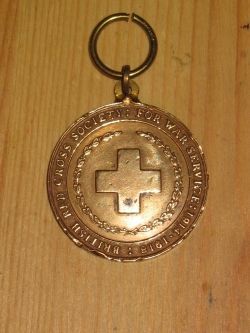 This medal was issued by the Japanese Red Cross to donating members, probably some time in the 1930s or during the early war years (late War examples being of various alloys). Unusually for such a medal, it could also be (and apparently often was) worn with both civilian and military uniform. It consists of a silver or silver-plate circular medal with a shell-shaped suspension (mine featuring a hallmark, suggesting a silver example) hanging from a scarlet ribbon with grey tramline stripes either side. 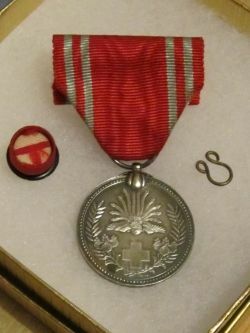 The obverse features a small cross in the standard Red Cross form surrounded by a wreath of Chrysanthemum flowers (a Japanese national symbol) with a phoenix above. The reverse has Japanese lettering giving the following: Meiji 21st year Japanese Red Cross Society (this relates to the year - 1888 - in which the Japanese Red Cross was first founded). A nice addition to any Japanese military or Red Cross collection. The price for these varies very substantially; material and whether they can be said to be a WW2 example may be determining factors. Typically, Â£10 and up. A potentially interesting collecting field in themselves! These attractive badges, denoting membership of a particular county organisation, appear to be not much sought-after and could make for an interesting collection in themselves. 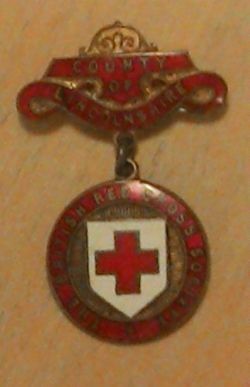 A nice example of enamel work, they consist of an ornate brooch bearing the county name with a medalet bearing the words "~British Red Cross Society" around the society's shield.They may be named and numbered on the obverse and can sometimes be found with proficiency badges, all of which adds to their interest. Generally can be found for Â£5-10. This diminutive, rather attractive medal was issued to Red Cross members not for meritorious actions, as you might suppose, but rather to recognise proficiency in three Red Cross disciplines. Rules varied across different types of members up in essence the medal recognised the achievement of proficiency in three disciplines, of which first aid and nursing were mandatory (or first aid and two others in the case of registered nurses). Bars were awarded under certain conditions. The medal itself consists of a deep red, white and scarlet enamelled oval with a scrolled motto below and a crown suspender above and hangs from a ribbon of equal-sized bold red and white stripes. 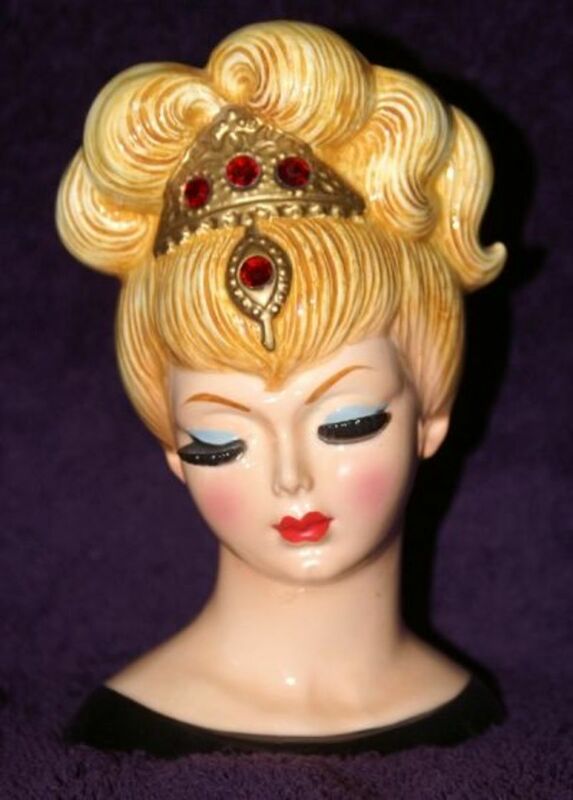 It may be found in King's and Queen's crown versions. The obverse may be named and numbered, which adds to the interest. King's crown versions are generally Â£10-15. This is a nice example of an early twentieth century Prussian Red Cross medal, in a rather coppery bronze denoting a third class medal. The obverse features a greek cross with the initials of Emperor Wilhelm I and his empress between the arms, whilst the reverse Bears a spray of leaves and a German legend meaning "For service to the Red Cross". Post-1917 examples were struck in zinc. Moderately uncommon. Expect to pay about Â£15. 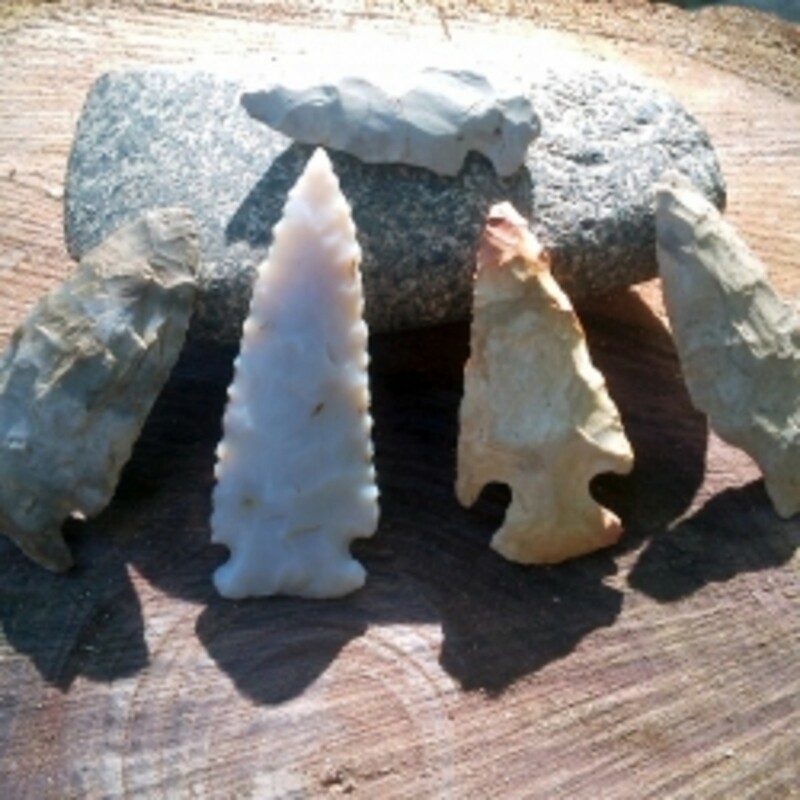 @CoeGurl: Many thanks for your kind comments! These are great tips on what to look for when collecting medals!